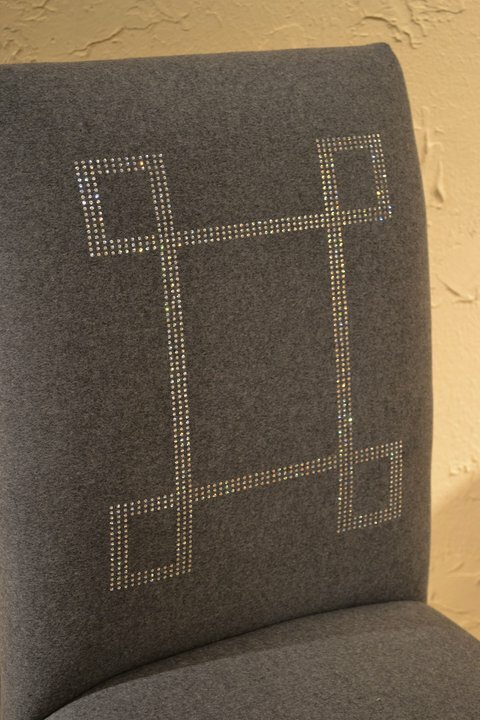 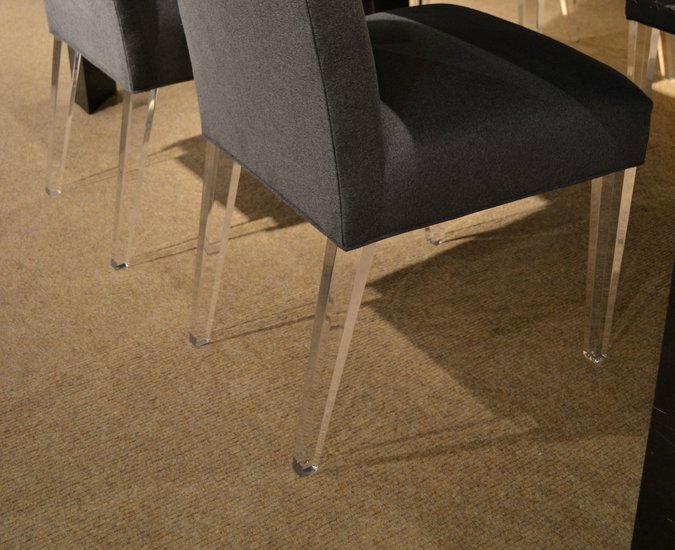 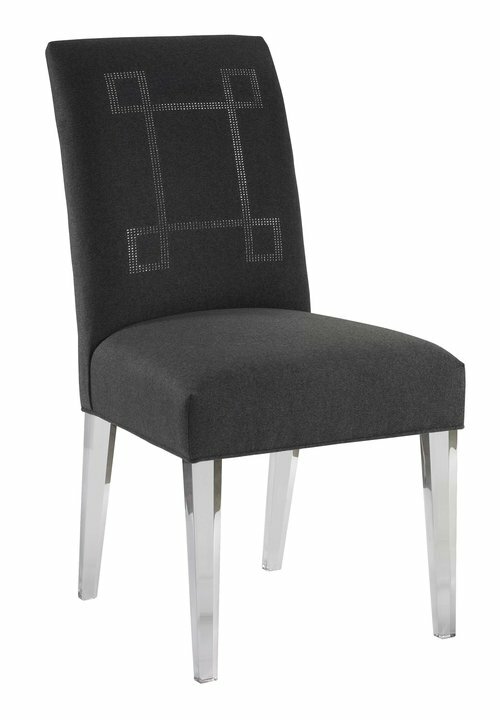 Atelier 1 is a stunning chair featuring clear acrylic legs and a Swarovski crystal applique in a contemporary Greek Key pattern on the inside chair back. The charcoal grey flannel fabric feels like cashmere wool. 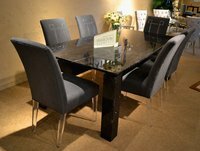 The tapered acrylic legs having the appearance of glass pedestals and the legendary Swarovski crystal accents elevate this classic dining chair to a new level of high styled sophistication, beauty and glamor.